However, all is not as idyllic as it seems. The environmental costs of these estates are huge partly due to the lack of public transport links and the sheer distance that people are forced to commute every day. But the main culprit is the amount of energy that these McMansions consume. Due to their large size (usually larger than 300 square metres), cheap, poorly insulated construction, and large arrays of electronic gadgetry, they consume electricity and gas like there’s no tomorrow (which there won’t be if this continues…). However, I was happy to read today about a company taking the first step to changing this situation. 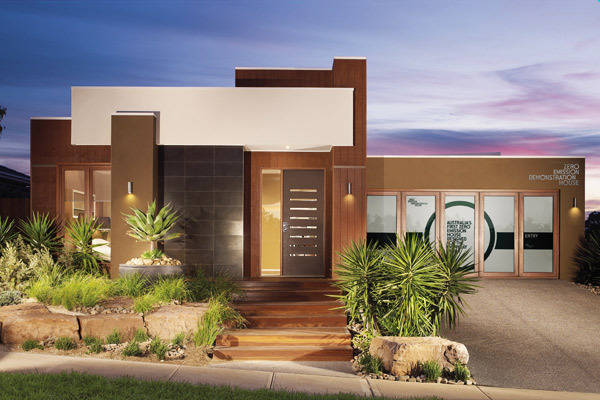 Henley Properties Group in association with CSIRO, Delfin and Sustainability Victoria has built a zero emissions show home on the new Laurimar Estate outside Melbourne. Most homes in these estates are picked from a catalogue which is what creates the homogeneous look and the McMansion title but soon customers will be able to tick the ‘zero emissions’ option. This show home will be on display until September 2010 after which a family will live in it and their energy usage will be compared with other houses on the estate. Assuming it is successful (and I don’t see why it wouldn’t be), these features should then be made available as an option on all their standard house designs. Of course, if you are building a bespoke house there is nothing to stop you incorporating all these features yourself and many people do. The show home has been designed to produce enough renewable power onsite to supply all it’s energy needs over the course of a year. It achieves this in a couple of ways, firstly by reducing the amount of energy used (70% less than a comparable standard home), and secondly by actively generating electricity. It also monitors energy use in real time which helps the occupants to manage and reduce the amount of energy they consume. The house reduces energy consumption through superior insulation, correct orientation to the sun, advanced sealing systems and energy efficient lighting and appliances. It has solar panels to generate electricity and a solar water-heating system and collects both rainwater and grey water for reuse. 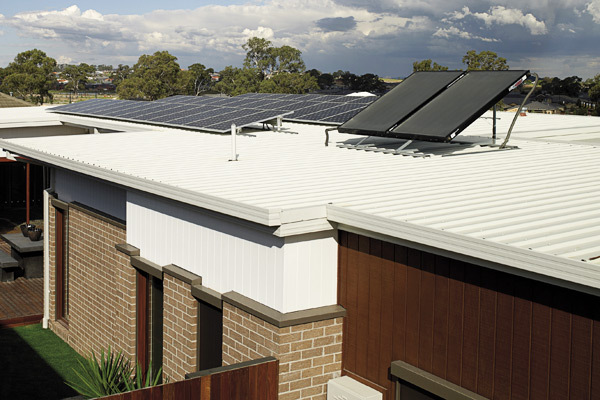 With all these factors combined it achieves an 8 star energy rating compared to the required 5 star rating for new houses in Australia. The most innovative part of the whole equation is the energy management system, controlled via a touchscreen in the house or via the internet or smart phone. These systems can be retrofitted to most houses and are so effective because they make it clear exactly when the most electricity is being used and by what appliance giving the occupants much more information and incentive to change their behaviour. The system can also automatically switch appliances off at certain times of the day such as tv’s on stand-by when everyone is at work or school. It also (importantly for Australia) monitors and manages water use. And, surprisingly, the price premium for all this energy efficiency isn’t as much as I expected. Around AU$20k on top of the standard price of AU$254k for the energy efficiency features and another AU$20k to add the solar panels. Sure, AU$40k isn’t a small amount of money but it still represents less than 14% of the total price of the house. And who wouldn’t want to be able to turn on the heating or lower their blinds from their iPhone? It’s the way of the future!